Tokyo is not exactly short on quirky late-night haunts, but sometimes the options can be a little overwhelming. With the last train always in the back of your mind, time is of the essence when it comes to enjoying the city after dark, so you’ve got to be organized. Eager to go drinking with the locals after work? Or hungry for something more international? How about seeing the city from a brand new perspective? With the following unique activities, it’s possible to do all of this and more in one-jam packed night. Whoever thought that in a metropolis as dense and concrete as Tokyo there would be such a thing? 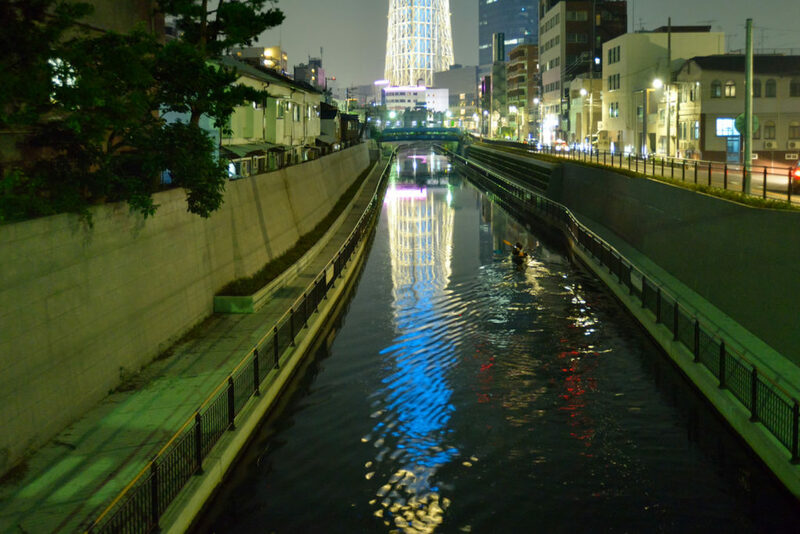 Night canoeing in Tokyo is an experience most people probably wouldn’t know was available in Tokyo unless you really went to seek it out, but it’s an adventure even the least athletic of visitors can appreciate trying at least once. A little bit of online research reveals that there are a number of different canoe tours held throughout Tokyo’s urban waterways. 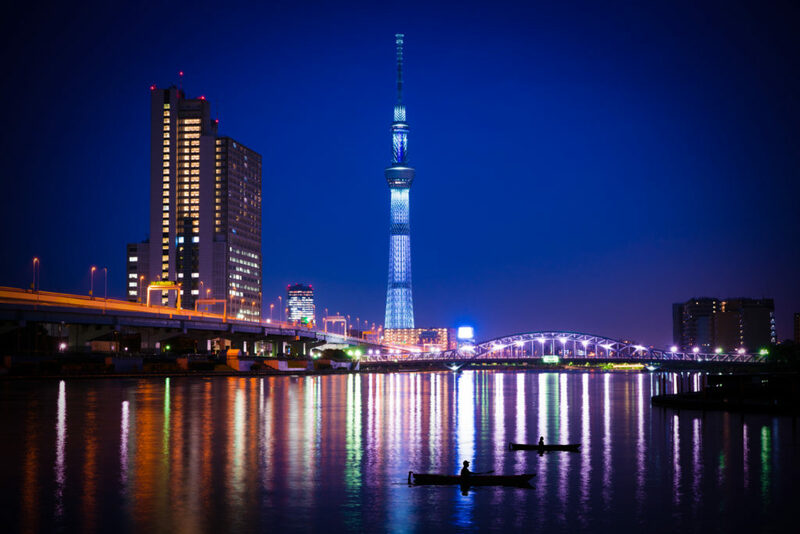 However, if you’re finding it difficult to select which type of tour to book, consider taking a trip with ZAC Outdoor Sports Club down the Kyu Naka River to admire Tokyo Skytree in all its illuminated glory. 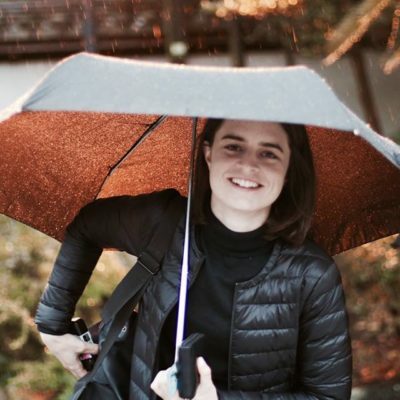 If the idea of canoeing at night sounds a little nerve-wracking, you need not worry as the guides are incredibly supportive and more than happy to help you perfect your rowing technique. You can also find some solace in the knowledge that Kyu Naka River is, in fact, a man-made river so there’s no sneak currents that will sweep you out to sea. The experience lasts about an hour and a half and costs ¥5,500 per person for a group, ¥6,500 if you’re flying solo. 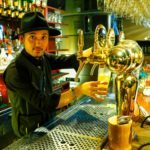 Although Legends Sports Bar is in the international party hub of Roppongi, it’s located just far enough off the main drag as to avoid the manic foot traffic of the weekend, but close enough to the action if you feel inclined to join later on. 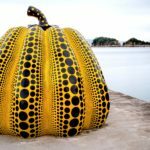 Sure, a sports bar may not be the first place you think of when it comes to dining in Tokyo, but this list is all about trying something a little different. If you’re a serious sports nut or just a casual fan, you’ll appreciate the Legends Bar’s die-hard dedication to the country’s best sports stars. Signed baseball posters and framed ancient newspaper clippings line the walls, while if you look up a plushy, giant-sized sneaker hangs from the roof in mid-leap. Unlike your more traditional sports bars, Legends has large windows that open out onto the streets, making it feel more like a welcoming terrace than a dingy dive. The drinks menu is an all-American affair, featuring rum, bourbon, and imported beers, as well as a few international wines thrown in for balance. If you’re on a budget, happy hour runs from 5 p.m. until 7 p.m. Monday to Friday. 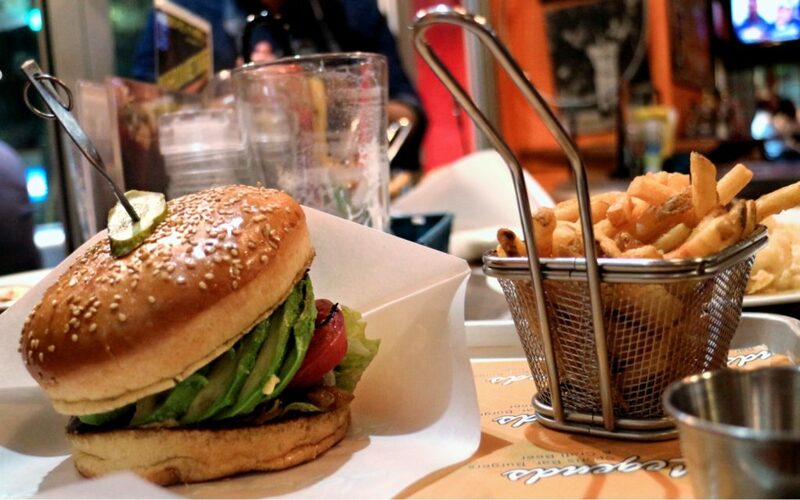 Food wise, the menu boasts a mix of American-style cuisine, with a slight tex-mex influence. The servings are more than generous, so come hungry. Monday – Friday 5 p.m. till late, Saturday, Sunday and Holidays 2 p.m. till late. 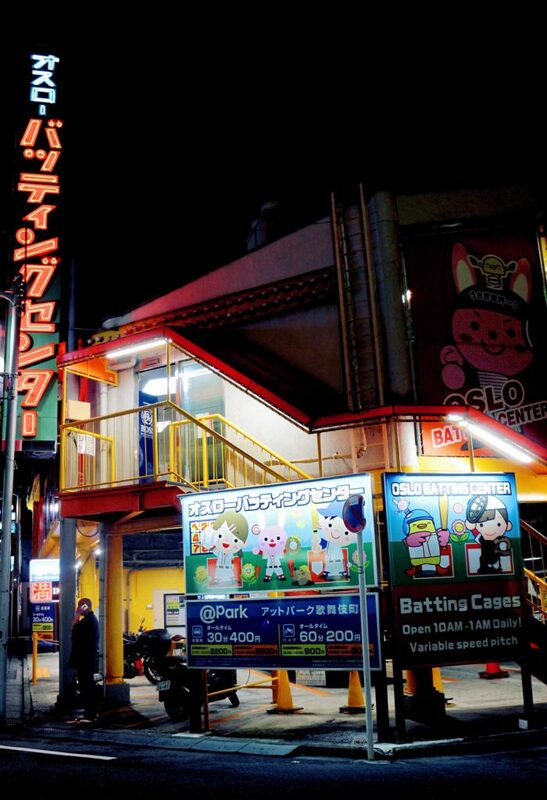 If you’re feeling inspired to give baseball a try after visiting Legends, then there’s only one place to go late at night, and that’s the Oslo Batting Center in the heart of Shinjuku’s nightlife district of Kabukicho. A great place to people watch, the center is a magnet for an eclectic crew. Tourists on holidays, young couples on dates, and overworked salarymen letting off a little steam are just some of the regular folk who like to frequent this Shinjuku staple. If it’s your first time wielding a baseball bat, it can be a little challenging to make contact with the ball. All the machines come with modifiable height and speed settings designed to help you hit at least one home run. Also, it’s relatively cheap at 60 balls for ¥1,000, meaning you won’t spend a fortune honing those skills. Tucked behind a cluster of host clubs and love hotels, the Oslo Batting Center is a rather wonderfully wholesome nighttime experience in the heart of the city’s grittier districts. Daily, 10 a.m. - 1 a.m.
After spending a few hours powering through all those vigorous activities, there’s a pretty high chance that you’ve worked up quite the appetite. It’s time to get adventurous with some streetside fare in Ameya Yokocho. 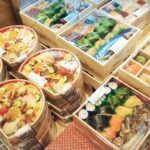 Also known as Ameyoko to the locals, this market stretches along the Yamanote line between Okachimachi and Ueno stations. 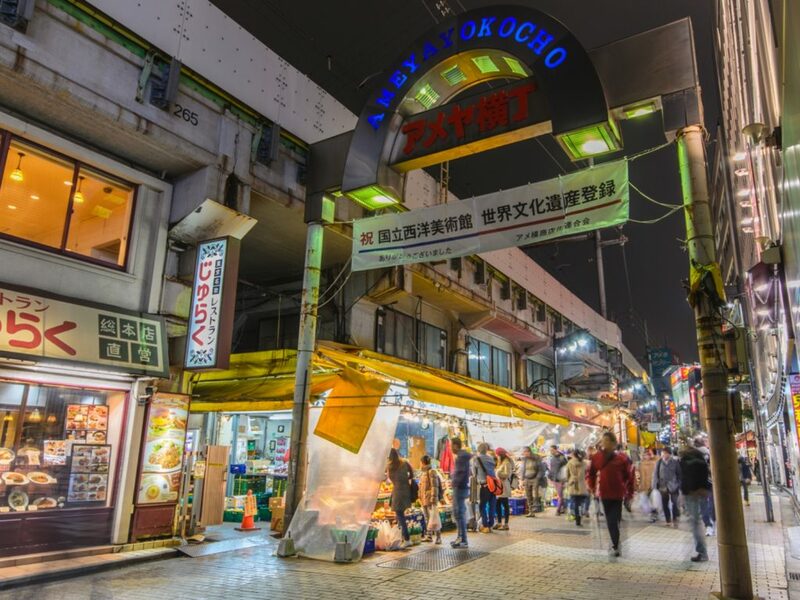 A ramshackle neighborhood filled with stores and restaurants, Ameyoko was once a “black market” for imported American goods after World War II. It was also at one time home to candy — in Japanese “ame” — sellers, hence the name Ame-yoko, or Candy Alley in English. These days you’ll find vendors slinging everything from bargain sportswear, vintage fashion and cosmetics, to fresh fish, fruits and vegetables. Although places open up early for the day drinkers (stalwart “Daitoryo” famously opens at 10 a.m.), the most exciting time to visit is later in the evening. By 7 p.m. the highballs are flowing, the outdoor seating is overflowing and all of the kitchens are running hot. A lot of the cuisine you’ll find here reflects the working-class history of the city. Sample motsu nikomi (intestines stew), yakitori (meat skewers), pickled vegetables and potato salad — all classic drinking accompaniments that haven’t changed in decades. Remember if you end up having too much fun and missing the last train, Tokyo is a taxi-tastic city meaning that you can easily and safely hail a cab home no matter the time of night. Now go explore — and enjoy!